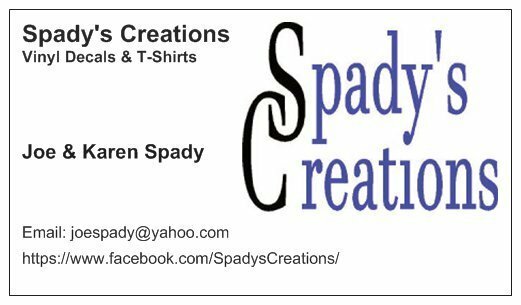 Spady's Creations makes something for everyone. We make custom made vinyl decals as well as vinyl heat transfer shirts along with hand crotcheted items. We have also just started making wooden crafts as well. Together Karen and I have 45 years of retail customer service experience. We are highly committed to this business and will provide the best customer service that we can. Please feel free to email us for any custom jobs that you would like us to help you with! Karen and I have been together 20 years and we married 14 years this October. 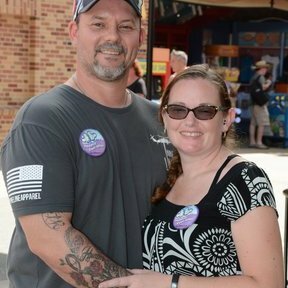 We have 3 kids, 2 sons ages 13 and 4 and 1 daughter age 22.